* The 2018 Volkswagen Tiguan is the perfect SUV for the whole family. With seating for seven and plenty of cargo room, this stunning and functional VW is a “must-drive” for your holiday road trip. Lease a 2018 VW Tiguan Limited Edition 4Motion for only $239/month WAC or a 2018 VW Tiguan S 4Motion for a mere $259/month WAC. * The 2018 VW Passat R-Line is a sporty mid-sized sedan with plenty of legroom for passengers. Sign then Drive one home today for only $259/month WAC. * The 2018 Volkswagen Atlas is a mid-size crossover SUV with plenty of legroom for adults in the third-row seat! Lease a 2018 VW Atlas 2.0T FWD for $269/month WAC or a 2018 VW Atlas SE V6 for only $399/month WAC. A great SUV for all budgets! * Spend less time at the pump with a sporty 2018 VW Golf. Sign and drive home a 2018 VW Golf GTI S for $329/month WAC or the roomy 2018 VW Golf AllTrack S wagon for $349/month WAC. 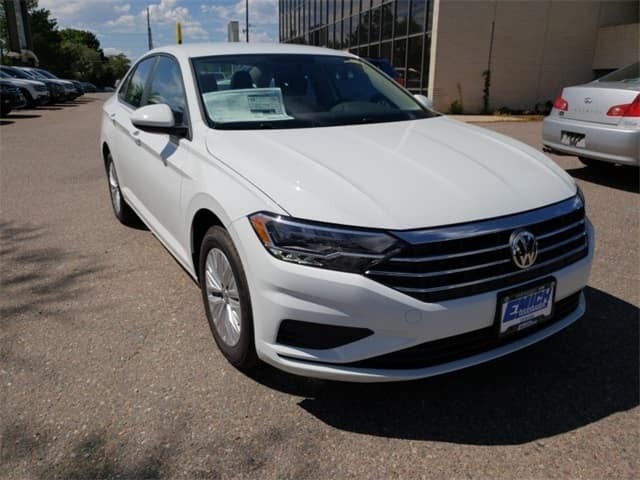 * The 2019 Volkswagen Jetta has arrived at Emich VW and you can lease one today for an amazing $199/month WAC! 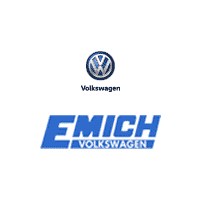 Our money-saving, Sign Then Drive $0 Due At Signing Lease Event expires on January 2,2019 so stop in to Emich Volkswagen to drive home a new VW today!